Over the years, Lebanon, Ohio, and its surrounding area has been used in nearly a half dozen Hollywood productions. This historic city has been "cast" as a town in Ohio, of course, but also one in Pennsylvania, Iowa, New England and, believe it or not, Texas. 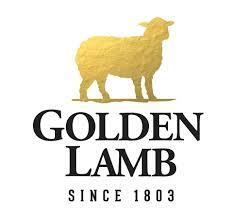 The Golden Lamb has even had a couple of appearances on the big and little screen. Join the Golden Lamb and Warren County history extraordinaire John Zimkus on Saturday, May 4 for dinner and a talk that will explain why these films were shot in Lebanon. Two seatings are available for this unique event: 4:30 p.m. and 7 p.m for a $45 all-inclusive price with a three-course meal. Reserve your seat by calling our front desk at (513) 932-5065.